On a magnificent day at Brunswick Street – in stark contrast with the tempest the week before – Fitzroy used its combination of youth and experience to great effect, defeating Old Geelong by 89 points. Taking the lead from the Ressies, the home side kicked six goals in the first quarter and kept the pace for most of the day with nine in the last, to win 24.9.153 to 10.4.64. This was the best four quarter performance from the Fitzroy Seniors in some time, with coach Luke Mahoney particularly impressed with the ball movement and forward pressure. Given a number of new, young players and a couple of first gamers, the result was all the more pleasing. Ted Clayton (41) who has taken his game to the next level this season, was awarded best on ground for an excellent performance in the midfield, but he wasn’t alone. It would have been much harder to find someone who didn’t perform. Max Ellis (51) had another good day down back and Tom O’Donnell (31) also caught the eye of the coaches in only his second game for the club. Rory Angiolella (14) finished yet another game with a bandage around the head and took the one percenter award for his courageous and telling work rate in the middle. Another five-goal haul to the captain has Julian Turner sitting equal first on the Premier C goal kicking ladder. The team is equal top of the ladder with Williamstown CYMS. 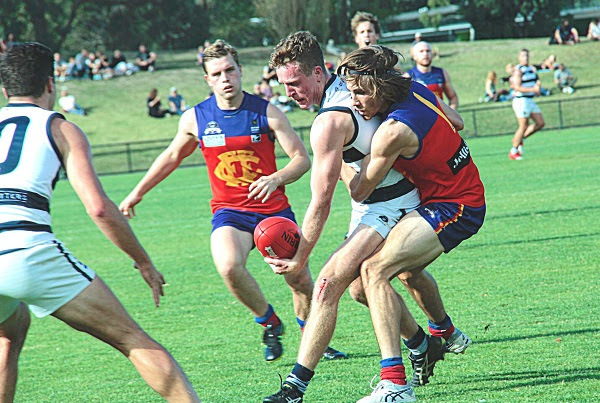 The two clubs hold the top two positions in the Reserves competition too, with Fitzroy taking honours on percentage after another commanding performance against Old Geelong. Bernie Carter’s side is rightly proud of its start to the season and its stats! They again kicked six goals to nil in the first quarter which proved extremely valuable, as Old Geelong came home the stronger of the two sides but could not make up the deficit. Fitzroy won 10.15.75 to 9.2.56. Nick Daffy kicked four goals for Fitzroy and Will Zahgis kicked two. 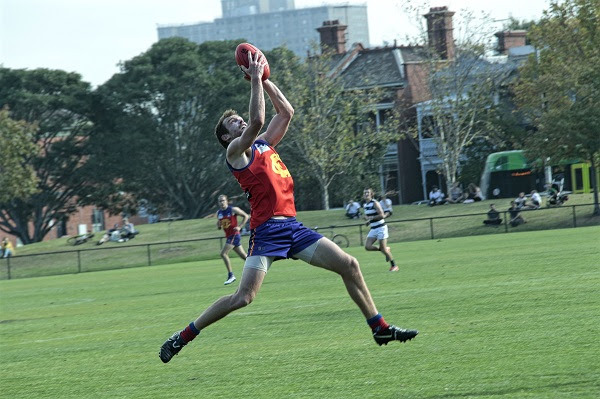 Will, who was awarded best on ground for Fitzroy has struck some excellent form. Sean Laidlaw, who had a limited pre-season, is also showing signs of the form that got him into the senior side last year. 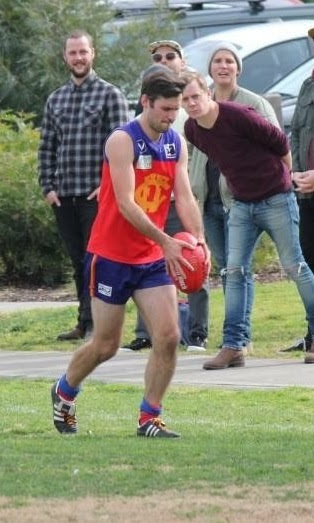 In the lead up to Max Ellis’s 150th game, long time friend, teammate and vice captain, Tom Cheshire has paid tribute to the reigning best and fairest winner, as he looks forward to playing potential finals footy together. Tom says in his younger years Max gained the nickname “Steps” as a few key forwards used him as a step ladder, but my how the times have changed! “After coming back from a year overseas, it was great to have Max’s enthusiasm and energy in what was a tough year in 2017, and his best and fairest was testament to that. “What I’ve noticed this year is the growth in his leadership skills which has been great to watch. Often quite reserved, Max has been more vocal around the club and quick to offer his opinion and experience which is a huge benefit to everyone. His work ethic on the track is something a lot of young guys can learn from,” Tom says. 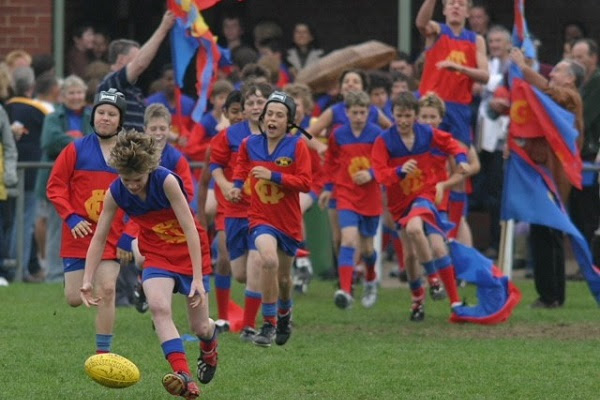 Max has played all his football with Fitzroy, right from AusKick days, to the Fitzroy Juniors and then into the senior club, playing in an Under 19 premiership in 2010 under coach Tim Bell, with captains Rory Angiolella and Julian Turner. Congratulations Max on a wonderful milestone but as your new mate Kevin Murray might say, only half way there! 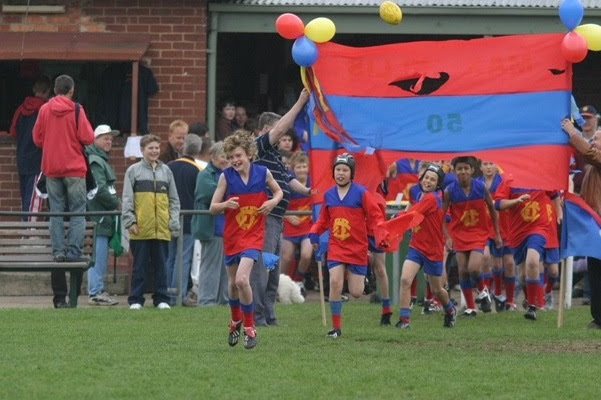 Photos: Can you spot all those familiar young faces as Max plays his first senior game and as he runs through the banner with his teammates for his 50th game with the Fitzroy Juniors? A solid four quarter effort had its rewards as Fitzroy-ACU came up against a familiar foe in Caufield Grammarians at Ramsden Street and came away with their first points of 2018. With Hillary Collett and Liz Olney kicking two goals apiece, the final score was 7.13.55 to 4.5.29. Collett, Bethany West (who you can read about below) and Erin Gogerly were amongst the best players. The day wasn’t quite as positive for Fitzroy-ACU Women’s Reserves who just couldn’t match Caufield in the kicking department, going down 1.5.11 to 5.2.32. Tash Kroussov was the goal kicker. 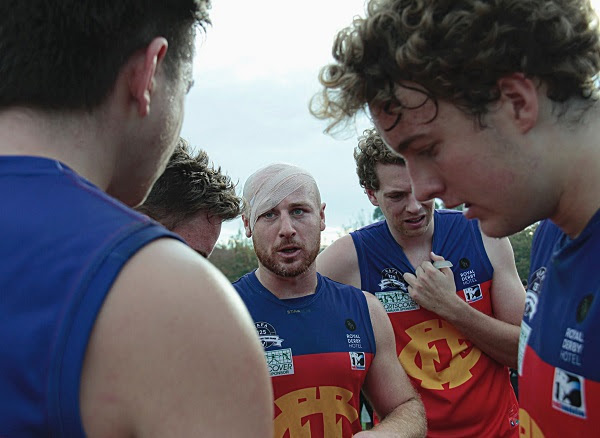 With a first win on the board, Fitzroy-ACU Seniors will next play Old Trinity in a must-win game, if they're to stay in touch with the top sides. Last year’s premier, Marcellin, is out in front of the race to defend their title. In more good news for the Roy Girls it has been confirmed we have five Women’s players on VFLW lists: Alexa Madden at Essendon; Hilary Grubb, Sarah King and Paige Nash at Collingwood; and Tori Tonin at Richmond. Looks like the Pies’ good week continues! 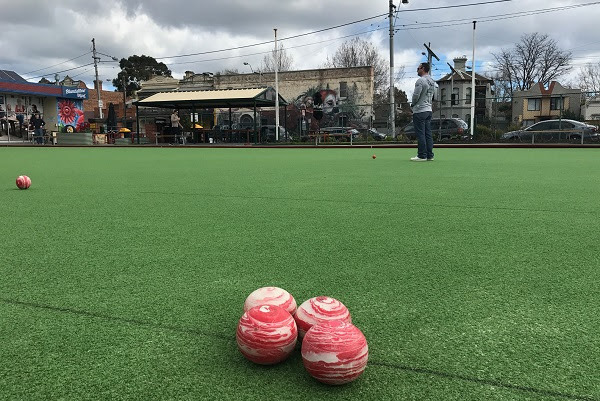 Unfortunately, the Fitzroy-ACU sides sit out for the bye this weekend so we expect they’ll be the form side in the bowls on Sunday. The Seniors are back in action next week but the Reserves won’t play again until Saturday 12 May. But read all about their new ruck talent below. Photo: Alice Batterton in action against Caufield on Saturday. When ruck star and reigning VAFA William Buck Premier Women’s Best and Fairest, Tash Ross-Harris, headed off overseas, the Roy Girls wondered how they’d ever find a successor able and willing to fill her shoes. RedRoy Mail asked Senior Women’s Coach, Mick Symons, to tell us how we may have done just that – in an ex-basketballer who’d never before put boot to ball. Bethany West came to football after years as an elite basketballer in both Australia and the USA. She’s been a squad member with the Canberra Capitals who play in the Women’s National Basketball League and, after travelling to the US, spent time playing College basketball for a junior college in Jacksonville, Florida. After a few years off basketball, Bethany responded to co-gym mate and current team mate Perri Quattrociocchi’s invitation and spent her first-ever footy pre-season with Fitzroy-ACU. 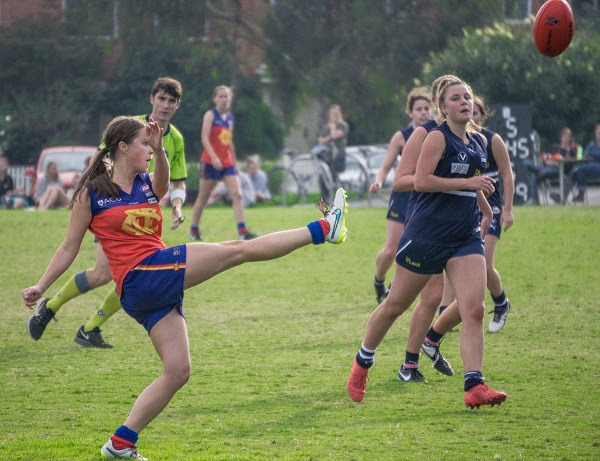 “Westy’s ability to adapt quickly to footy meant she debuted for the Seniors against a formidable Melbourne University team in Round 1 this year,” says Mick, “breaking even against a more experienced opponent. Westy plays down any difficulties associated with the move from basketball to footy, claiming that the transferable skills and movements have actually made for quite an easy transition. “Not to mention the girls are super supportive,” says Westy, “so when a kick goes astray, I don’t cop it too much. In Westy’s opinion AFL has been instrumental for a lot of women and youth. She attributes it to injecting a lot of confidence and support for people to get involved and, as she says (channelling Jacko), "to give it a red hot go". Mick reckons Westy’s a player to watch as the season progresses and her confidence grows with match day experience. “With each match she continues to improve, taking more marks around the ground, evading tackles, and amazingly holding the ball in the air one-handed challenging the opposition to “catch me if you can”. Fitzroy VFL champion and 200-gamer Michael Conlan will headline the Fitzroy Past Players' and Officials pre-game lunch on 12 May. 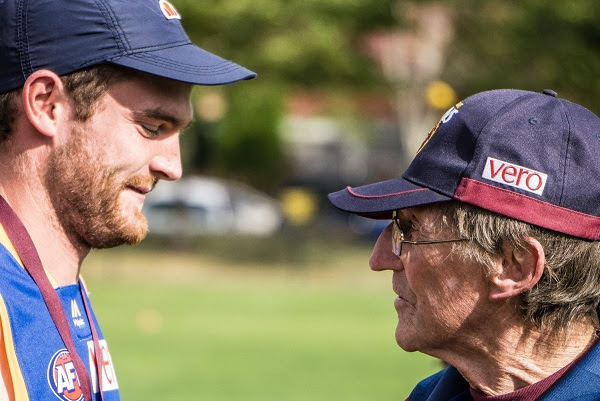 Mick will speak at the lunch before Fitzroy takes on Marcellin OC at Brunswick Street Oval. 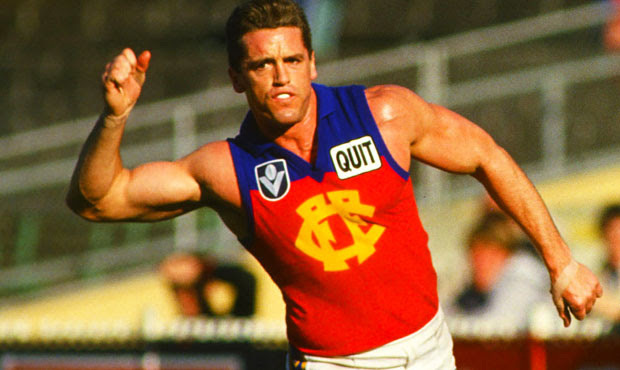 The former Fitzroy number 12 came to the ‘Roys via Tasmania and Canberra and is best known for kicking 10 goals in a game against Footscray in 1984. Mick kicked 395 goals in his VFL career and represented Victoria in State of Origin four times. He is the former CEO of AFL Queensland. 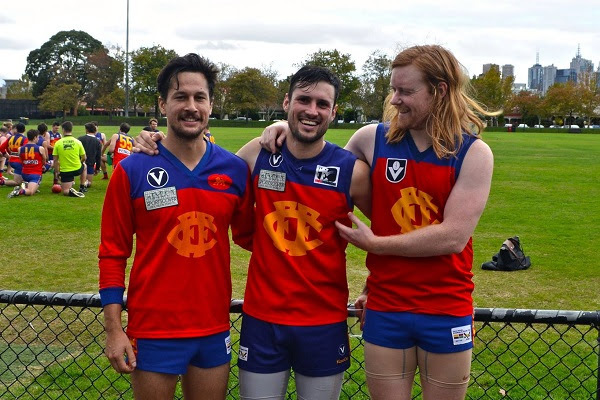 With two sets of brothers pulling on the Fitzroy jumper last Saturday the challenge went out to fans on social media about the brothers who have played for Fitzroy before, and there was no shortage of feedback. The post reached well over 2000 people and the names flew back - the Osbornes, the Randells, Jacksons, Harts, Mitchells, Farrells, Harrises, Gales, O’Reillys, Hunters, McBurneys, Clarkes and Holderheads, not to mention the Serafinis and our very own Baker and Dalton boys. Thank you Fitzroy fans – you never let us down – and welcome to the new brothers who are clearly part of an excellent tradition. There is one name that didn’t come back on social media and that was Toohey…. a name you’re sure to hear more about soon in the RedRoy Mail. 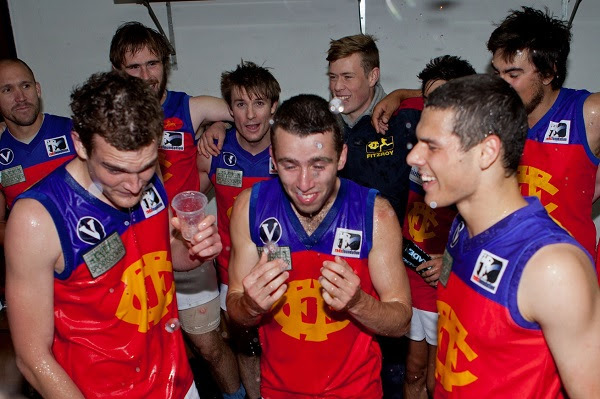 Pictured above are Ted and Bill Clayton (back) and Noah and Bernie Wright, who all made outstanding contributions to the Fitzroy win against Old Geelong. In fact Ted was awarded The Royal Derby voucher for best on the ground. The Fitzroy Thirds’ new captain, Tim Denatris, has a smile on his face after his team’s first 2018 win, but knows the competition is not going to get any easier. 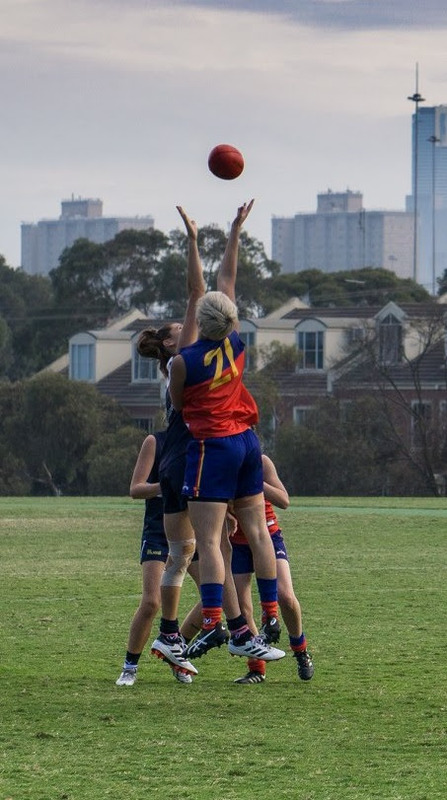 In a reconfigured Thirds competition, the Fitzroy team is now in Division 2 against some very strong sides and with the loss in the first week of the 2017 finals still stinging, the team’s ambition is to get there again. “We were very disappointed last year and we definitely want to make finals again,” Tim said. An architect, who works from his own studio in Richmond, Tim says things haven’t changed too much in the Thirds leadership group this year, with he and Jared Shaw effectively switching roles and Nathan White stepping into the deputy vice-captain position. What has changed is the abundance of players available for selection. 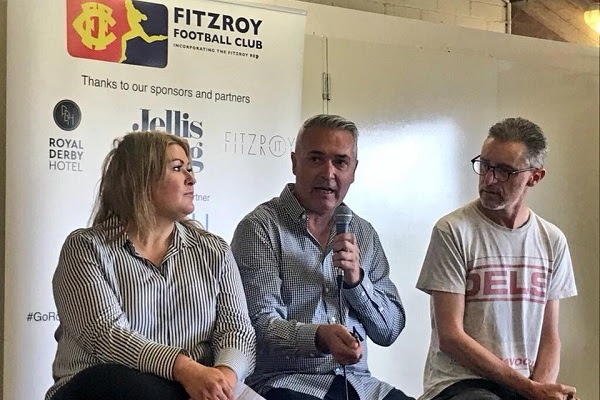 Now in his fourth season with Fitzroy, Tim says in the past the Thirds have had the need to drag in friends and family at the start of the season to make up the numbers, but these days – like the rest of the club – there are so many people keen for a game. In fact the oversupply of players means the captain has actually put his hand up to work on the sidelines this week and allow others to have a game. “We have a lot of senior guys who have played a lot of footy in the Thirds so there’s no need to be over the top with my leadership approach. But one of the big things this year is the number of young guys who have come in, so the role is really about helping the senior guys and the young guys gel together as a team. “We’re very happy with some of the Under 19s who are playing with us at the moment; they are a cut above. Players like Ezra Darby and Aaron Tatchell are making a big impression. “We’re definitely taking on everything Mahns (Luke Mahoney) is trying to implement across the club and that includes the game plan so that guys can come in and out of the team and we have a consistent approach across all teams. “The Thirds is about a good balance – we're serious on a Saturday but we also make sure we have some time to socialise and hang out with good mates,” Tim said. “There are a lot of players who have other commitments in life now but still really want to play footy. We have multiple guys who are in the emergency services and do shift work – there are a lot of good stories – but they still want to be part of Fitzroy and be with their mates. Photo: The men responsible for bringing Tim Denatris (centre) to Fitzroy, Adam Tiab and Nathan White, pictured with their now captain. Sergeant Jack Cooper's beautiful letter sent to the Fitzroy Time Keeper from the front in 1916 set the tone for another moving Anzac service at the war memorial in Edinburgh Gardens on Saturday. 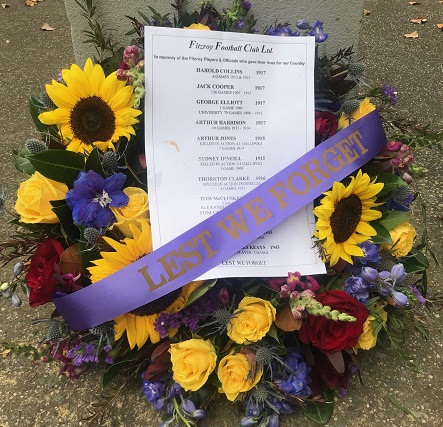 During half time at the senior game, local community members and members of the Fitzroy family paid tribute and laid a wreath for the Fitzroy players and officials killed during war. 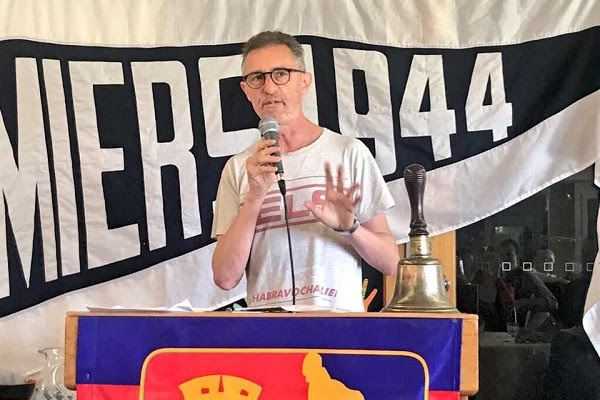 As always, Club Secretary Bill Atherton worked away behind the scenes to make this all happen and to ensure it remains a meaningful part of our Anzac tradition at Fitzroy. Thank you to everyone who attended. Jack Cooper played 135 games for Fitzroy and was killed in France in 1917. 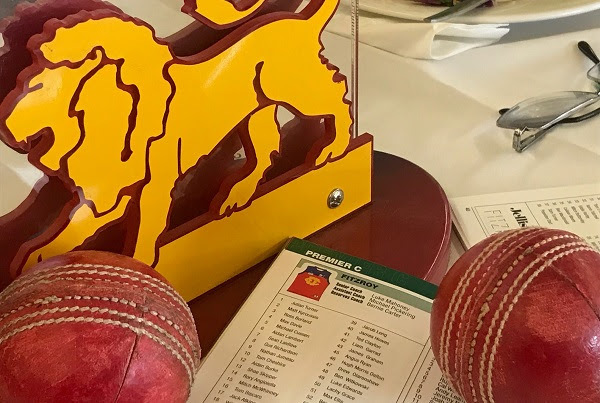 The ball was red, the wine was red and the panel were very well read as the Reds Foundation presented The Spirit of Cricket prior to the senior game at BSO on Saturday. 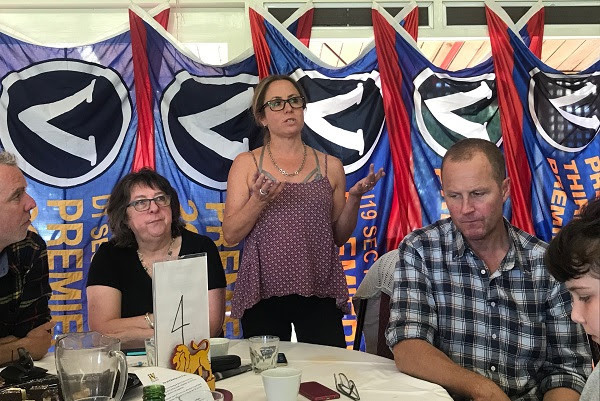 With a panel most sports programs would envy, lunch attendees were treated to three very strong perspectives on the recent shenanigans of the Australian cricket world but all coming back to one simple thing – sometimes professional sports fail to hold onto what makes their game great. Gideon Haigh reminded us of the origins and romantic innocence of cricket when it first offered an alternative to a pressured lifestyle. Richard Hinds had everyone laughing and also spoke about the need for smarts not just skill as part of a leadership group and that perhaps the rot for the Australian Cricket team had started some time back. Megan Husthwaite said so much of what we love about cricket is on display at grounds like BSO, at the grass roots. There was something for everyone and we’re looking forward to the Reds Foundation’s traditional political lunch later this season. Former Geelong and Richmond player of the 60s and 70s, Gareth Andrews, popped into the Reds Foundation lunch on Saturday for a bit of a trip down memory lane. 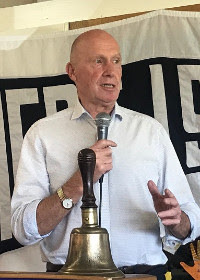 Andrews, who played in the 1974 Richmond premiership side, looks as fit as a fiddle and played a quick cameo part in Saturday’s lunch, speaking about his memories of football between Geelong and Fitzroy at Brunswick Street Oval. The founder of the VFL Players’ Association, now the AFLPA, was also the CEO of Richmond Football Club in 1978 and 79. He covered football on ABC Radio and TV and worked for the Sunday Age in the 80s and 90s. He later joined the Geelong Board in 1998 and was Vice President to Frank Costa. You never know when you will run into football royalty at a pre-game lunch at BSO. 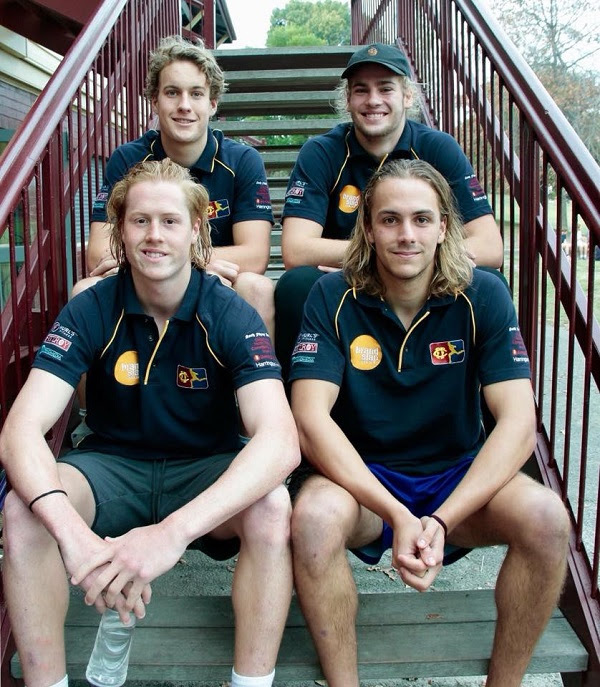 Late last year at the Fitzroy Football Club AGM, long-time players and leaders of the club, Rory Angiolella, Sam Baker and Richard Willingham were awarded their life memberships for 10 years’ service. On Saturday they were presented with their medallions by Club President, Joan Eddy. Richard accepted his medallion at the Reds Foundation lunch and said it was coming down to BSO on days like Saturday that reminded him what he was missing out on, with work commitments keeping him away from official duties with the club for the first time. 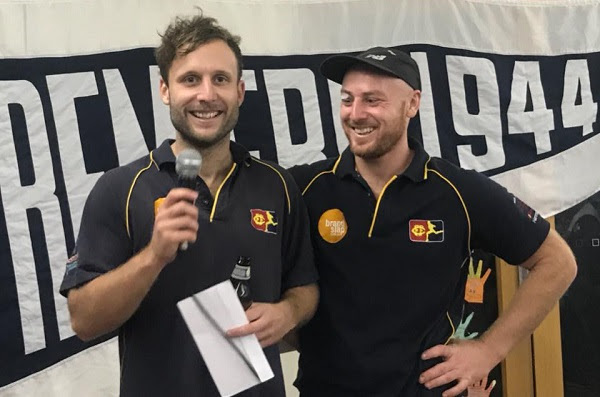 Meanwhile, with big smiles after a big win, former co-captains Rory and Sam, accepted their medallions at the post-match celebrations after a game in which they demonstrated they still have a lot to give to the club. Bowling Lions comp this Sunday! 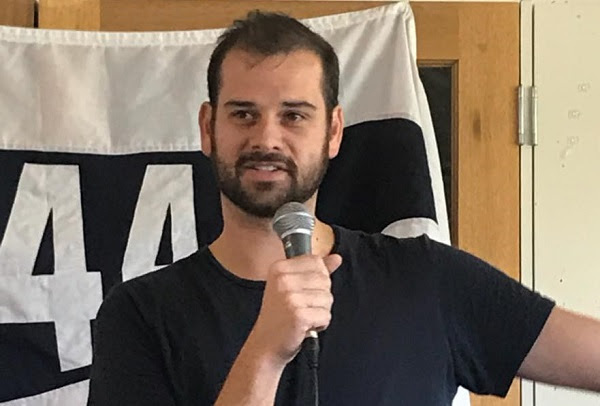 If Gaitor and his broken jaw can make it along to Fitzroy Victoria Bowling & Sports Club to defend his Bowling Lion title this Sunday, then the rest of us really have no excuses. In what was a fun day of sun and relaxation last year, the Fitzroy family fought it out for bragging rights on the bowling green and Gaitor (and his excellent team) knocked us all for six (if you’ll excuse the mixed sporting metaphors). He may be a little vulnerable this time. You can still book your team of 3 in for a fun afternoon of social bowls, a lesson, plus a BBQ lunch this Sunday 29 April or just turn up on the day. Mixed teams are fine and everyone's welcome. The action starts at 11am (not 12 as advised earlier). The cost is $5 per person (includes coaching, competition, BBQ lunch, tea and coffee). Drinks available at bar prices. You can pay on the day. Email your team name and names of the three team members to bowlinglions@tpg.com.au or come along with your team mates on Sunday. Supporters and hecklers more than welcome. It promises to be a relaxed afternoon at the home of one of our very loyal sponsors.